Illustrated children's book 3 to 9. Includes dream journal and dream work practice. 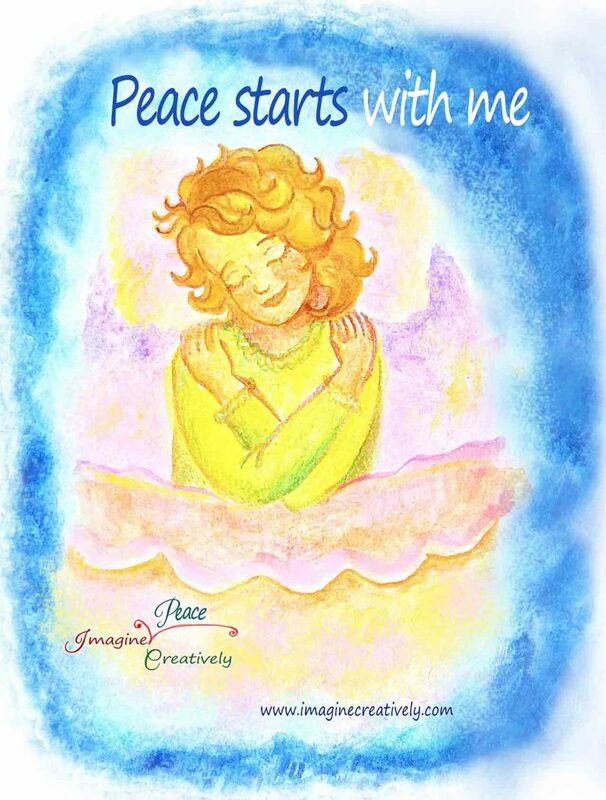 An illustrated bedtime story about finding peace and love inside to share it outside. Launched on International Peace Day, September 21st, 2018. Available in e-book, paperback & hardcover. “I don't want to sleep alone! Why do I have to go to sleep? Why is there night at all?” Do you need a better reason to entice children to go to sleep and sleep well, finding peace inside? 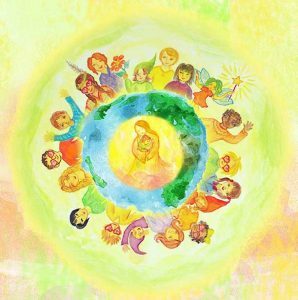 Home to Gaia links inner and outer peace, helping children connect to and create their own inner security system. It also connects them to everyone they love and all the children of the earth. 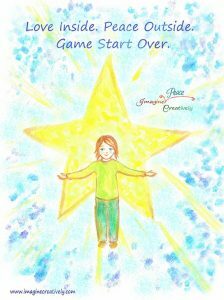 A guided relaxation story that takes children inwards to feel and thank their bodies and to relax secured in knowing they are deeply loved. It helps children feel excited about going to sleep in order to reconnect to love and receive messages from the world of dreams. Follow the yellow elf as he takes in the light of the sun down into the earth, guiding children on a journey toward the center of the earth to Gaia’s heart. There they find their true home, meeting all the other hearts that come to nourish themselves. Children learn along with the elves how to weave day and night, relaxation and play, recharging with love and catching dreams to bring back during the day. The story gives useful relaxation techniques to practice, instruments to integrate emotions, balance brain hemispheres and share dreams. The interactive pages extend an invitation to keep a dream journal. "This story and ritual came in our life when we needed it most. Having two different kids (in age, gender and vitality) can, often, turn your bedtime into “wartime”. 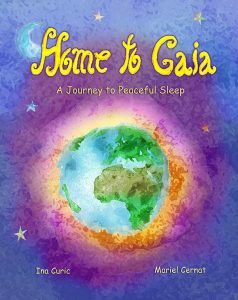 Months later, the kids are happy to go to Gaia at night, describing “Home to Gaia” as “a story we always love to hear, because we feel it takes us in an adventure”. We enjoy the story, while adapting the ritual to the particular needs of the day. Sometimes we recall nice events of the day and thank our body for facilitating them; other times we tell Gaia about powerful and painful emotions that emptied our cup of love that needs refill. We are grateful to have discovered Ina’s stories, as they plant meaningful seeds in our children’s beautiful hearts". Carmen Crăciun, Economist, Mother of two, story tester.